The shutdown affecting more than 800,000 federal workers has frozen activity for the Treasury Department’s Alcohol and Tobacco Tax and Trade Bureau, the government entity that regulates alcoholic beverages. So for more than 30 days, Love City Brewing and roughly 7,000 local and independently owned breweries nationwide have been squeezed – new releases have been placed on hold, interstate shipments have been halted and grand openings pushed back. “New, now, next is what keeps us going,” Walter said. Bob Pease, president of the Colorado-based Brewers Association, a not-for-profit trade association, said the industry cannot afford the squeeze. “The margin of error is so small for these entrepreneurs that the prospect for economic hardship is likely and may be significant during this shutdown,” Pease said. Brewers are increasingly nervous that they will lose money if brewery openings and seasonal beers are delayed much longer in the dispute over President Donald Trump’s demand for a taxpayer-funded wall along the U.S.-Mexico border. The shutdown that began Dec. 22 pinches primarily craft brewers, which offer wider varieties of beer and selections that change constantly. The biggest brewers are largely unaffected because they already have government approval for their top national brands. “Uncertainty is going to cause small and independent breweries to not hire people, cancel seasonal releases, or – even more frightening – lay off workers,” said Pease. According to a report by the Brewers Association, small and independent craft brewers account for more than 135,000 jobs in 2017, which is an increase of 6,000 from the previous year. Small and independently owned craft breweries account for 98 percent of all U.S. operating breweries. Placing owners like Walter in a bind. Without label approval from the treasury department, Love City Brewing can’t release new canned beers—a function he said is essential to the business’ growth. “If we can’t have a portion of our seasonal product in cans, then it’s going to be very difficult for us to compete,” Walter said. The pain is also being felt across town at Dock Street Brewery in West Philadelphia. A veteran brewhouse known for its outlandish beer formulas, like goat brain-brewed beer that is an ode to the Walking Dead series, has already missed two new launches and may have to reschedule or scrap its entire winter product lineup. 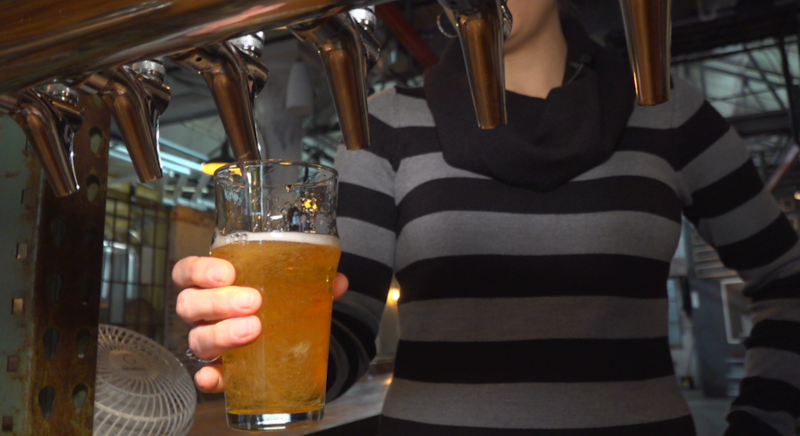 “It’s just a shame because it’s January and people would maybe like some entertainment to get through the winter,” said Marilyn Candeloro, manager of Dock Street Brewery. Candelora said the formulas have to be approved by the Alcohol and Tobacco Tax and Trade Bureau before the brewhouse can move forward with new labels. “It’s the artist and the printer who would have made the label, the distributor who would have sold the beer and the consumer who would like to drink it, “said Candeloro. Brewers said that even after the shutdown ends, the Alcohol and Tobacco Tax and Trade Bureau could be saddled with a months-long backlog in approval requests. Talia Kirkland joined Fox News in 2017 as a multimedia reporter based in Philadelphia.